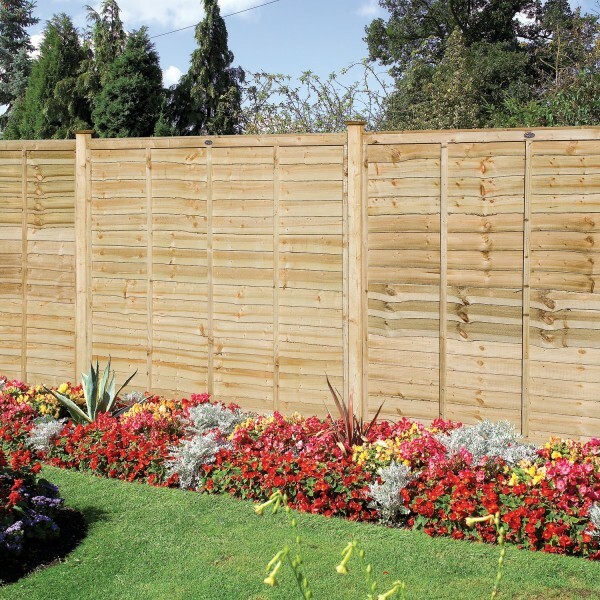 The Weston Professional Lap is a strong, thick and durable type of fence panel. 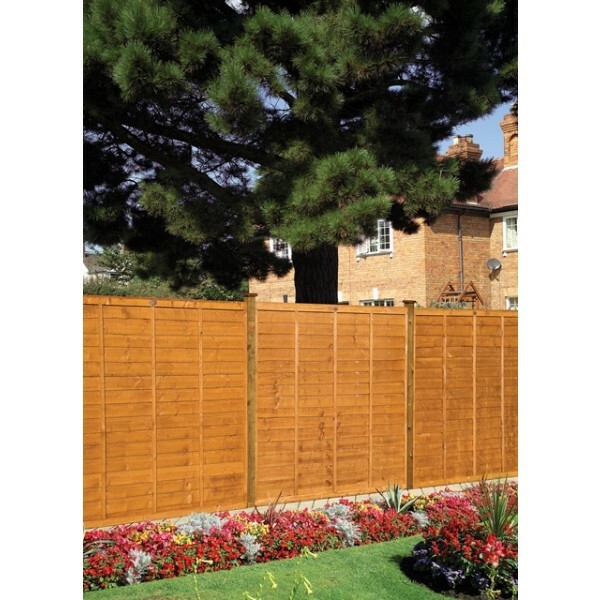 With its rich, dark colouring, it makes a striking addition to any outdoor setting and is perfect for marking out boundaries or perimeters. 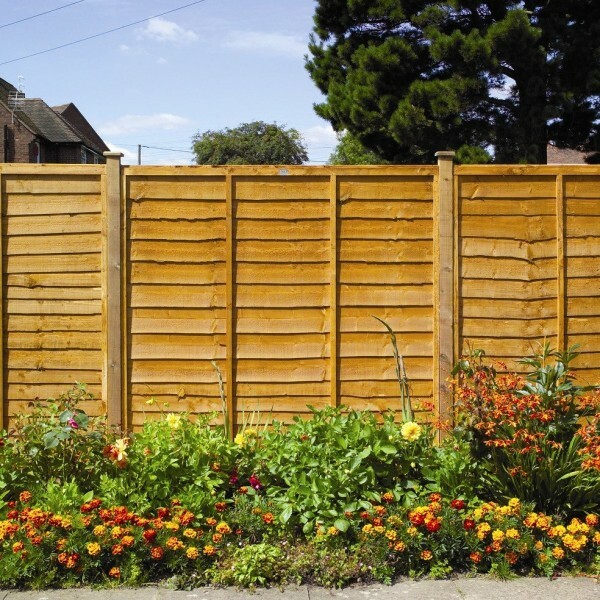 Lap fencing is a type of panelling which is very much in demand because of its longevity and superior strength, coupled with an attractive appearance. 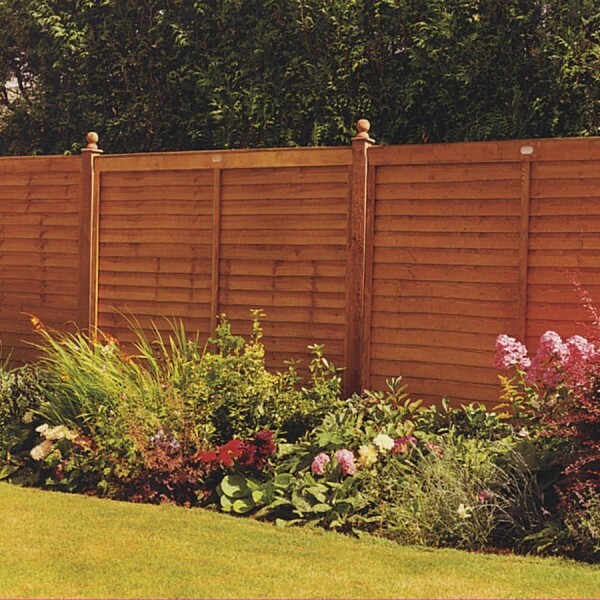 The Weston Professional Lap is an upgrade on the standard design, providing an even tougher type of fencing with the same high quality finish. The waney edges wave goodbye to stark lines and angles and replaces them with a much softer look with horizontal slats featuring a wavy finish. 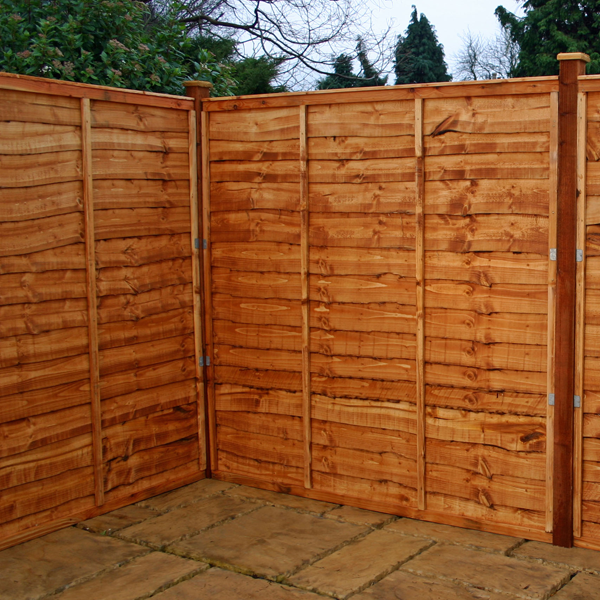 This has a far more natural appearance and allows the timber to undulate from one side of the panel to the other. The dark colouring is achieved via dip treatment which provides more than just aesthetics, it also increases the protection against rot, fungus and decay. 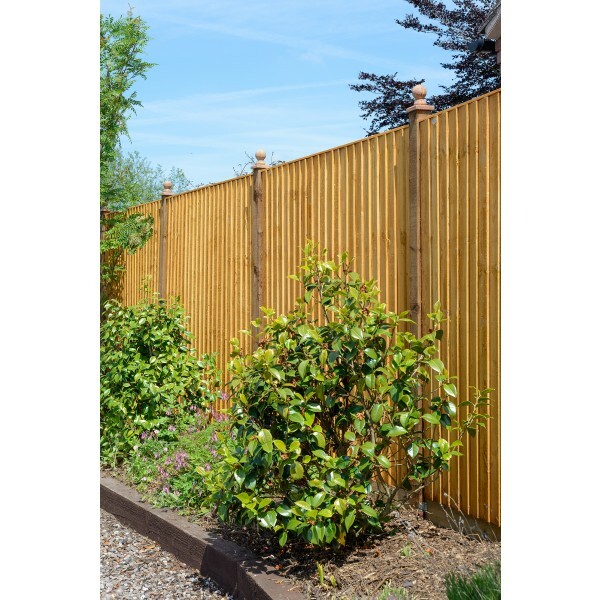 This extends the lifespan of your lap fencing, making it an even more cost-effective option for the longer term. 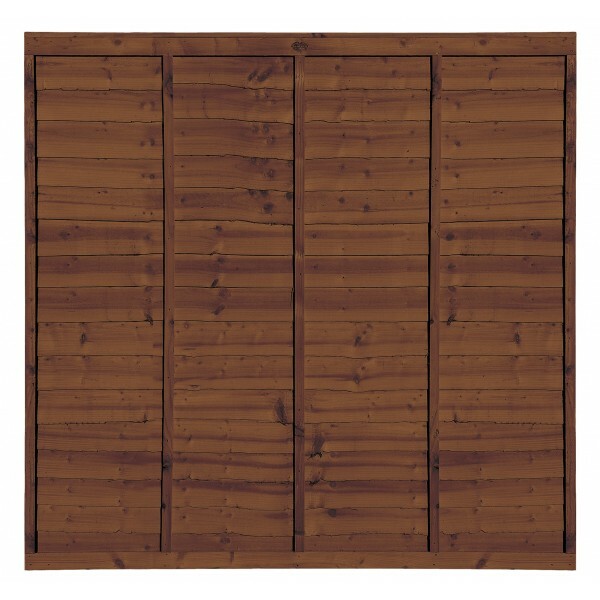 All panels are available in the standard 1.8m wide but with the choice of four heights. 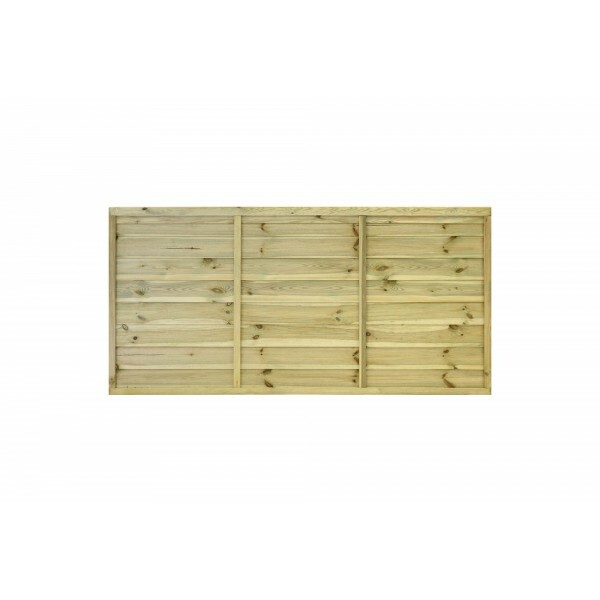 To make an order, there’s a minimum purchase of three fence panels. 42mm thick with 3 vertical batons front and back.